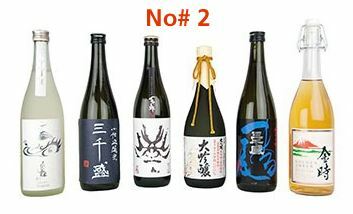 We’ve recently added some pretty serious sakes to our portfolio which has pushed up the price of our Ichiban Selection. Ichiban means ‘number one’ so we can’t really compromise (it’s got to be the best we have to offer!) so if you want the best of the best then do head over and check it out; however, if you still want excellence then this new Selection, our Niban Selection is a great choice. The Niban Sake Selection brings some of our best quality sake into one case. Daiginjo & Junami Daiginjo with a couple of exotic Junmai makes this am exciting foray into some superb sake. Silent Blossom– a rich, ripe and beguiling Junmai Daiginjo from Kimura Shuzo. Think: fruity, smooth & enthralling. 3 Peaks – a beautifully structured Junmai Daiginjo, polished to 33%, from Tatenokawa. Think: elegant & expressive fruit flavours. Genroku Redux – a Junmai from a bygone era! Konishi Shuzo have resurrected a 1702 recipe to give you a taste of the past. Think: sweet, devilishly delicious & with buckets of umami. Purple Warrior – a structured and moreish Junmai Yamahai from Hayashi Honten, great warmed. Think: caramel & cooked fruits crumble; a rich flavour. Stream – a crowd-pleasing, easy-drinking Junmai Daiginjo from Tatenokawa. Think: fruity, expressive & crisp. Snow Blossom – a zippy and boisterous Daiginjo Muroka Nama Genshu from Yamatogawa Shuzo. Think: fresh & zesty fruit salad. The Niban Sake Selection allows you to try some delicious sake from the top end of our range. NB – Snow Blossom is a namazake (unpasteurised sake) and so must be kept refrigerated until enjoyed.